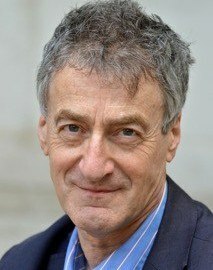 Dr Ian Black is a former Middle East editor, diplomatic editor and European editor for the Guardian newspaper. In recent years he has reported and commented extensively on the Arab uprisings and their aftermath in Syria, Libya and Egypt, along with frequent visits to Iran, the Gulf and across the MENA region. 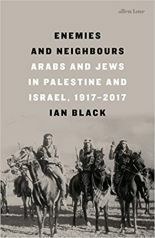 His latest book, Enemies and Neighbours: Arabs and Jews in Palestine and Israel, 1917-2017, is a new history of the Palestine–Israel conflict to mark the centenary of the Balfour Declaration and the 50th anniversary of the 1967 war. He has an MA in history and social and political science from the University of Cambridge and a PhD in government from LSE. Ian has written for the Economist, the Washington Post and many other publications, and is a regular commentator on TV and radio on Middle Eastern and international affairs. He wrote the introduction to The Arab Spring: Revolution, Rebellion and a New World Order (Guardian Books, 2012); Israel’s Secret Wars (Grove Press, 1991), Zionism and the Arabs, 1936–1939 (Taylor & Francis, 1986, 2015); and contributed to the Encyclopedia of the Modern Middle East and North Africa (Macmillan Library Reference, 2004).